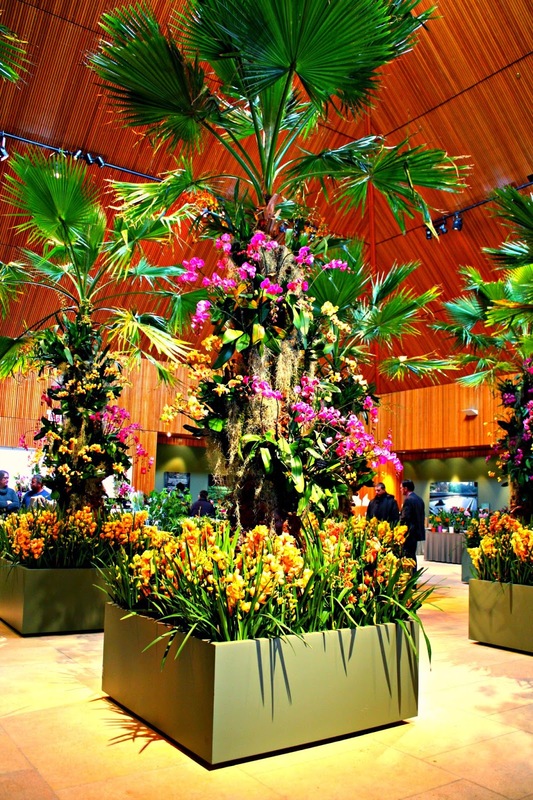 **Disclosure: We received complimentary tickets to The Orchid Show to bring you this review. No other compensation was received. All opinions are 100% our own. 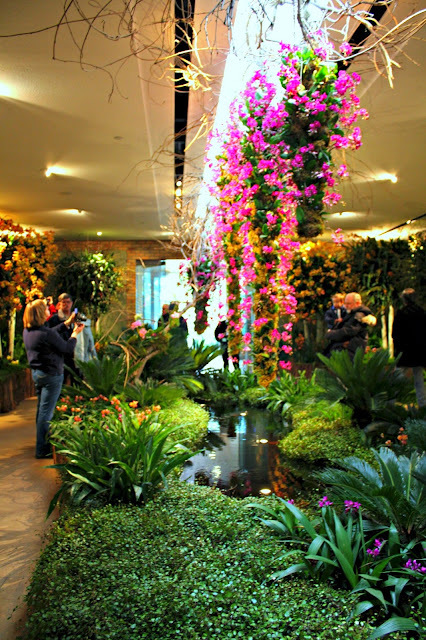 When I first learned about The Orchid Show at the Chicago Botanic Garden, my interest was immediately piqued. The show runs for one month, so I was curious about what was so exciting about orchids that sparked such a grand festival. We were definitely wowed by the tropical hues at the show and felt uplifted on a winter's day. 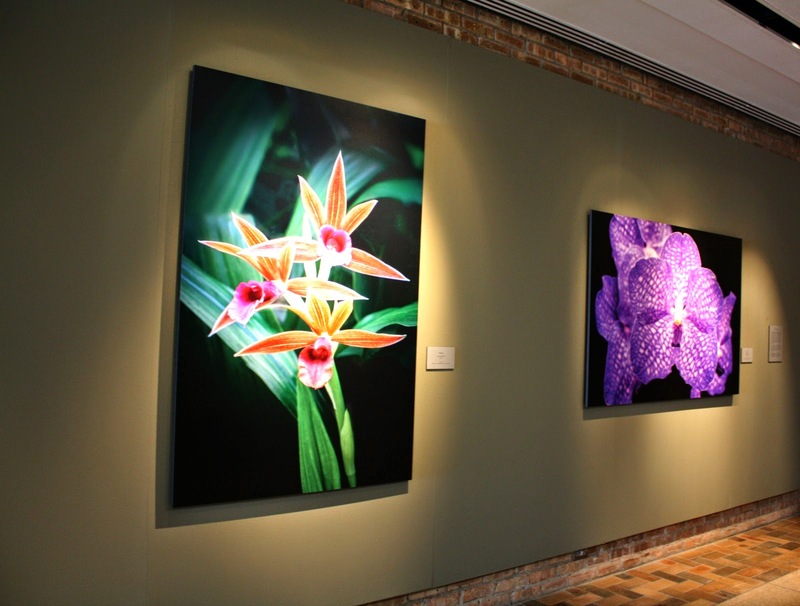 The show brilliantly intersperses grand orchid displays among quality educational exhibits. 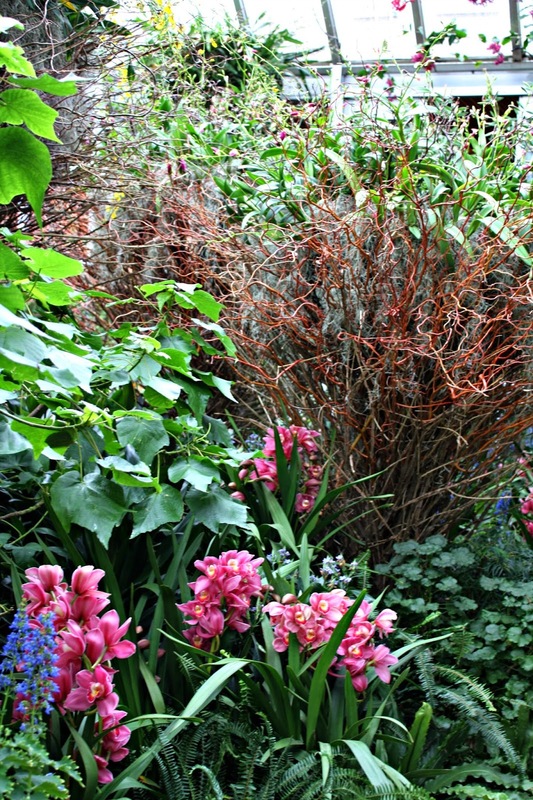 Additionally, three greenhouses have been transformed into orchid wonderlands. With 10,000 blooms, it is no wonder that the greenhouses were closed for five days to receive their new, vibrant adornments! When you first walk into the Regenstein Center, you are greeted by a hall of gorgeous orchid images that were taken during last year's show. 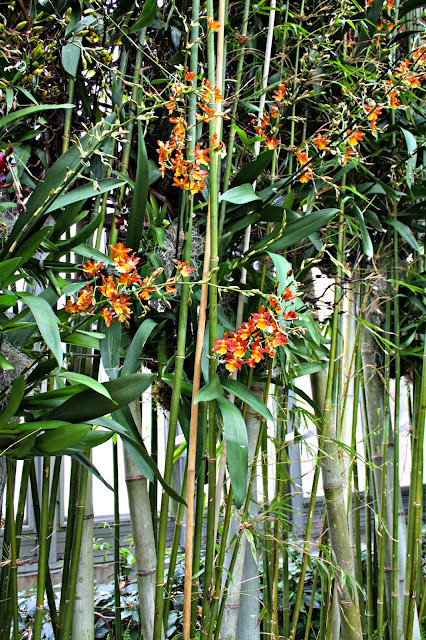 As you make your way down the hall, tropical orchid-laced creations will emerge before you and you will quickly forget that it is winter outside! 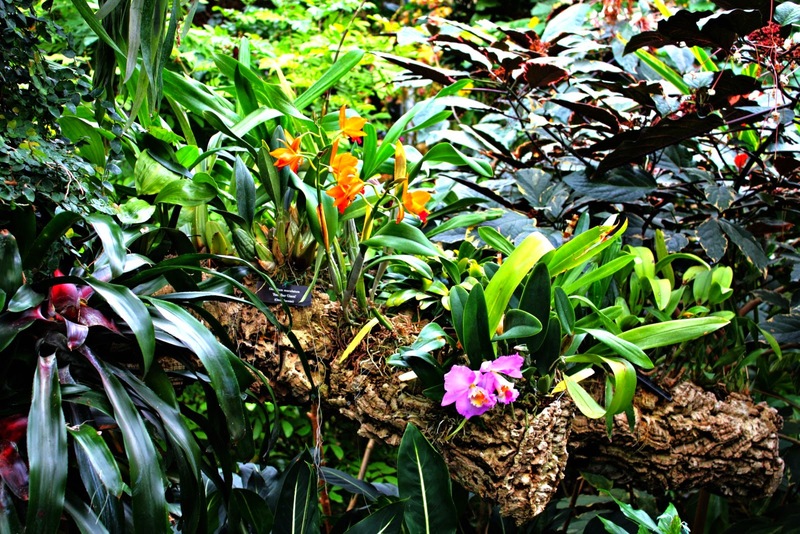 Orchids are the largest family of flowers, so you can imagine that we learned a lot during our visit! Well-placed signs and placards revealed interesting facts about orchids. Did you know that vanilla beans (ok, actually pods) come from orchids? We didn't--until The Orchid Show! Orchids are present on every continent except Antarctica and can even be found near the Arctic Circle. Illinois itself has 45 species. 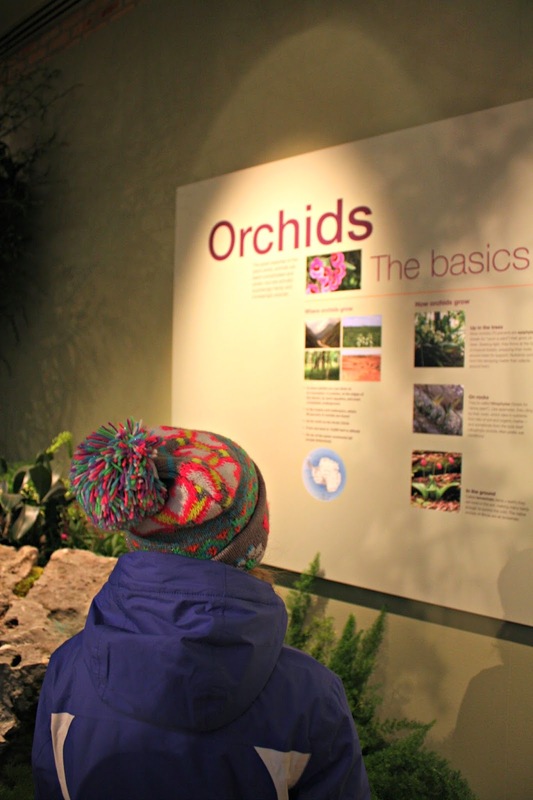 With orchids adapted to such a large range of climates, there was a lot to see and learn. The educational portions of the show all presented just the right amount of information to spark interest but not bog you down. My nine-year-old daughter was very engaged and read every piece of information in front of her. 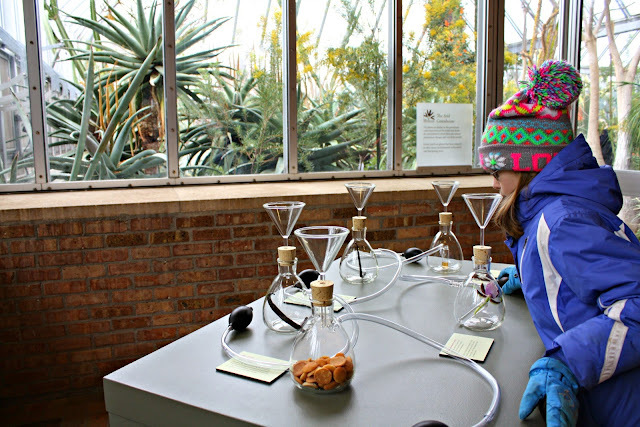 Of particular interest for kids is the smelling station where you can smell orchids and samples from each stage of making vanilla extract including the use of vanilla extract in vanilla wafers. The equipment used for the smelling station will quickly spark curiosity on its own. Who can resist pressing one of the bulbs to enjoy a waft of air from a specimen? A little walk through summer in the middle of winter is certainly welcome! The smelling station and terrariums will be particularly interesting to children. Informative signs layout plenty of interesting information about orchids, their care and more. Videos also add to the experience. Some water features will also be enjoyed by children. 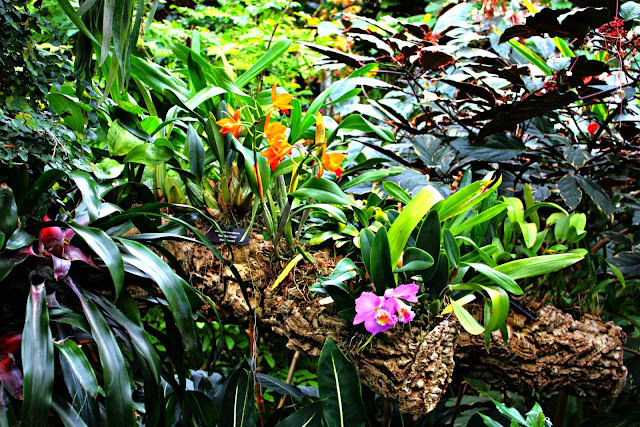 The Marketplace area is abuzz with plants and orchid inspired art to look at. When the Marketplace is open, members from the Illinois Orchid Society will be available to help you repot orchids from home. 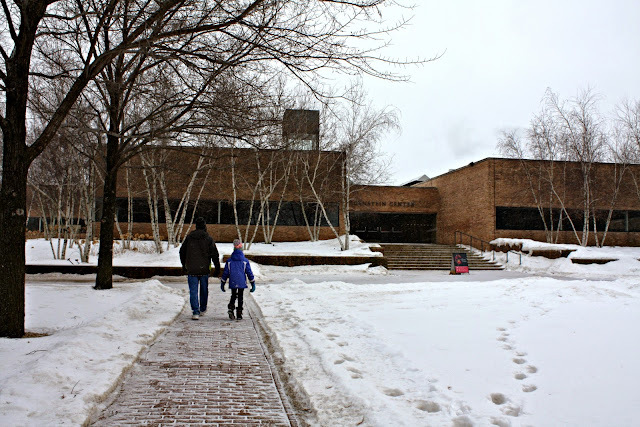 On February 21, the Chicago Botanic Garden will also have a free Chinese New Year Event with puppet shows and more--that may be a great day for a family visit! We enjoyed our respite from the winter weather for a morning. We marveled as we noted a furious snow outside while we were enjoying glorious summer weather. Quite the uplifting experience to help springboard us to spring! The Orchid Show runs February 14-March 15, 2015 and is open 10AM-4PM daily. 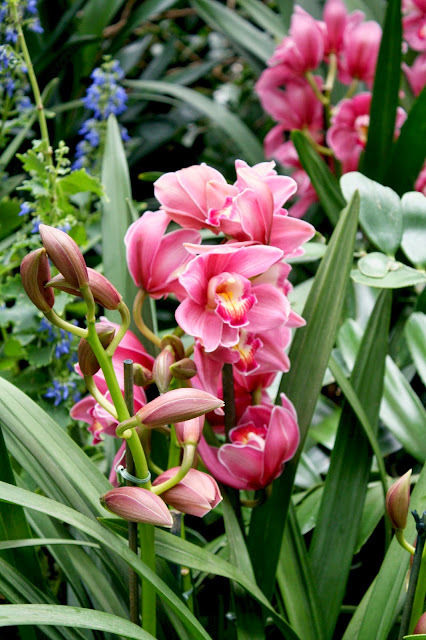 Every Tuesday and Thursday morning from 10AM-11AM is a music with the orchids event. Listen to area musical talent while absorbing the brilliant blooms. A music schedule is published online. Photography is welcome. However, tripods and monopods are only permitted on Wednesdays during public viewing hours. There is also a photo contest. Maybe your photo will hang in the show next year? If you have a stroller, you will need to park it. There is not much room to navigate inside most of the show. The Orchid Show took us about an hour to go through so budget about 1-1.5 hours. Orchid Marketplace on the weekends is the place to pick up an orchid for yourself or a neat orchid craft item. The Marketplace is only open on the weekends of the show. The Illinois Orchid Society will hold its annual judged show March 7-8 in Nichols Hall. There will be a Post Orchid Show Sale selling some of the orchids from the show. Members have the first pick on March 19 10AM-2PM. The sale opens to the public on March 20 if orchids remain. Tickets for The Orchid Show are $10 per adult, $8 per child or senior, $8 and $6 respectively for members. Parking can be purchased online fore $20 per car. There is a deal for two tickets and parking for $30 which can also be purchased online. Bank of America card holders can buy one ticket and get one free but this deal is only available if you buy tickets on site. What a great way to pretend spring is here. :) I really need a splash of color right about now.